Used along with, or in place of tusche (lithographic ink). 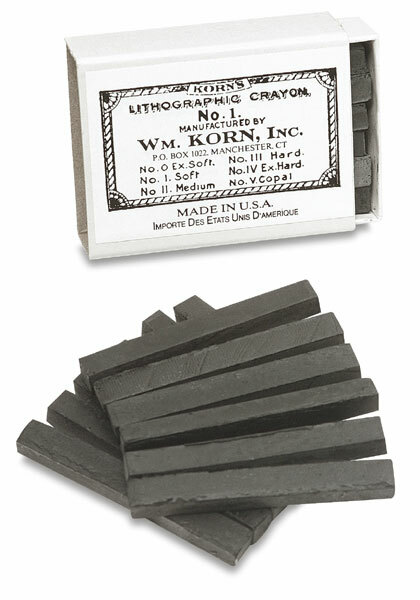 These dense, black crayons are designed for sketching directly on a lithographic stone, screen, or grained paper master for lithographic printing. Also for use on paper. ® Korn's is a registered trademark.